Please note that the content of this book primarily consists of articles available from Wikipedia or other free sources online. A bionic eye, commonly known as visual prosthesis, is a visual device that mimics the function of the retina, designed to restore sight for those with severe vision loss, or suffering from total blindness. Currently, a number of researchers worldwide are working on the development of more feasible and functional bionic eye technologies. 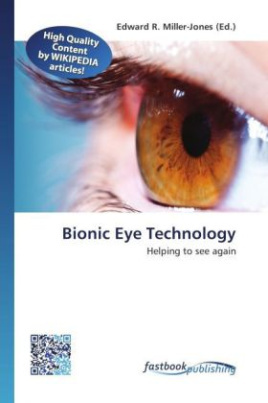 It is expected that in the next few years, the bionic visual devices will be available to people with visual problems. Learn more about visual prosthesis in this book.